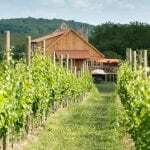 We’re gearing up for a sipping summer, whether it’s a crisp Chardonnay or a light wheat ale, at a variety of winery and brewery festivals throughout the Washington DC metro area and beyond. With more than 200 vehicles including sedans, limousines, SUVs, vans, Van Terras, Minibuses and Motorcoaches, we can accommodate any size group to any of these festivals! Booking a vehicle is as easy as 1-2-3 … just click on the boxes below!